Enterprise asset management solutions help prevent surprises in your operations while uncovering potential avenues of profit. 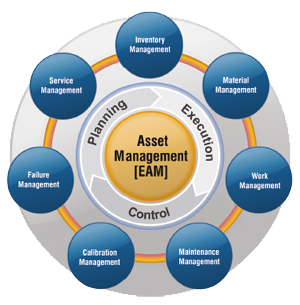 You'll be able to monitor and manage the use and performance of company assets to gain better insight and control over your enterprise with a powerful EAM software solution. Our EAM solutions team helps you simplify meeting environmental regulations provides greater visibility into you. You know the types of problems that can occur when your equipment, fleet, and facilities aren’t available, efficient, or reliable. Keep your plant, equipment, and facilities available, reliable, and safe. Meet your environmental, compliance, and service goals. Cut your inventory levels, purchasing costs, and energy use. That’s what you get from STS Asset Management team. A solution that helps you drive your asset management plans, decisions, and actions to reduce energy use. Maintenance—Schedule preventive maintenance, and assign resources where they’ll do the most good.